I love technology, I embrace it at almost every opportunity. The more integrated my life can be with the latest and greatest of tech, the happier I will be. My favourite kind of gadget is one that is perfectly formed. One that is simple in design and easy to use. Often these days we want our gadget to be multitaskers. We want them to do it all, but I take great joy in something that does one thing, but excels at it. I love when a gadget puts my mind at rest, because it has perfected what it set out to do. I will never have to buy another piece of kit for this purpose. Doxie is the only scanner I will ever need for the rest my life. What do I need a scanner for? A number of things, but my main reason for investing in a Doxie was scanning my Instax Mini Photos. (I know it kind of defeats the purpose of having a real photograph but I like the best of both worlds!) However the scanner also was fantastic for a lot of other things. I like to scan my Christmas and Birthday cards with Doxie so I can recycle the physical card but still have a digital copy of the nice images and cherished messages. It’s also fantastic for going paperless with important documents, contracts, payslips, etc. Combine this with something like Evernote or Dropbox and you can have all your paperwork in the cloud for you to access anywhere and you will save space do your little bit to reduce your carbon foot print. You’re such a good person. Using the Doxie is simple. Press the button to turn it on. Green light means 300dpi, press the button to turn the light red which means 600dpi. 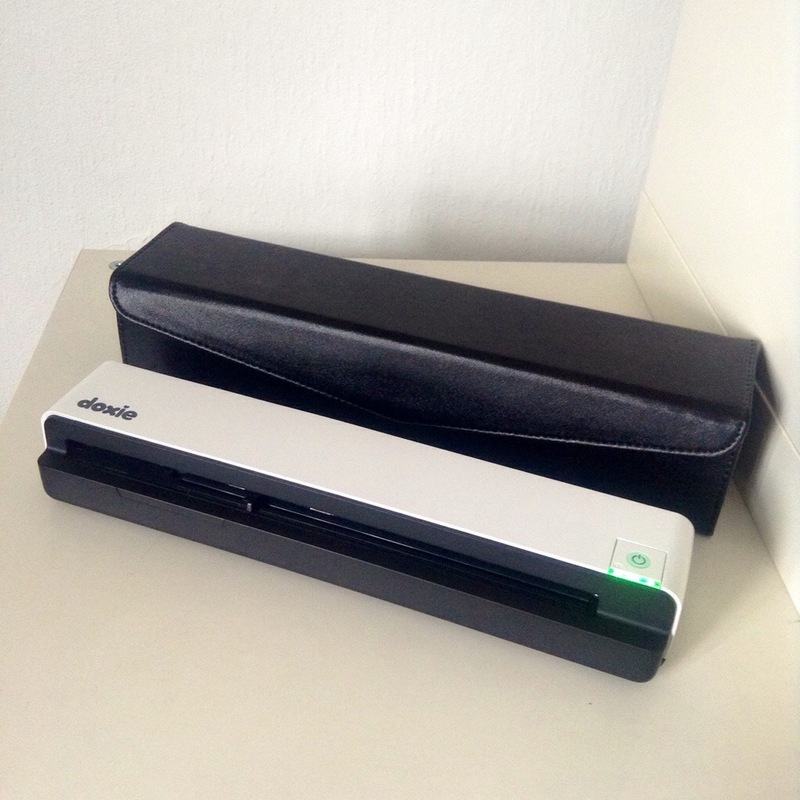 Feed your photo or document into the scanner and watch it do it’s magic. My Doxie, the Doxie Go model has the option of internal storage but both an SD card slot and usb port for flash drives can be used also. I like to use an SD card and then move my scans onto my iPad Mini with a lightning SD Card reader but I figure using a Eye-Fi SD card would be even smoother! The whole operation is a pleasure and of course the Doxie is battery powered and rechargeable so you can take it anywhere. What more do you want from it? It does everything so well. If you need a scanner in your life, Doxie is the one to partner up with. This entry was posted in Geek, Technology and tagged Doxie, Doxie Go, Paperless, Scanner by Jonathan Day. Bookmark the permalink.